Greeting Cards for Birthday software provides best features to design cost effective and personalized birthday cards in minimal time. With the help of commercial birthday cards maker utility users can print birthday greetings in stylish shapes such as ellipse, rectangle, circle etc. Reliable greeting cards application supports excellent facilities to make good looking birthday cards with easy to operate and understandable working interface. ...... Comprehensive tool for birthday cards provides facility to design impressive greetings including images, text and photos. Users can design birthday cards in variety of formats to gift relatives, friends, family and other persons on birthday occasion. Birthday cards software is integrated with advanced series creating options to generate many birthday cards at the same time like sequential, constant and random dataset functions. Using password setting feature users can prevent birthday cards utility being accesses from unauthorized users during generating cards. 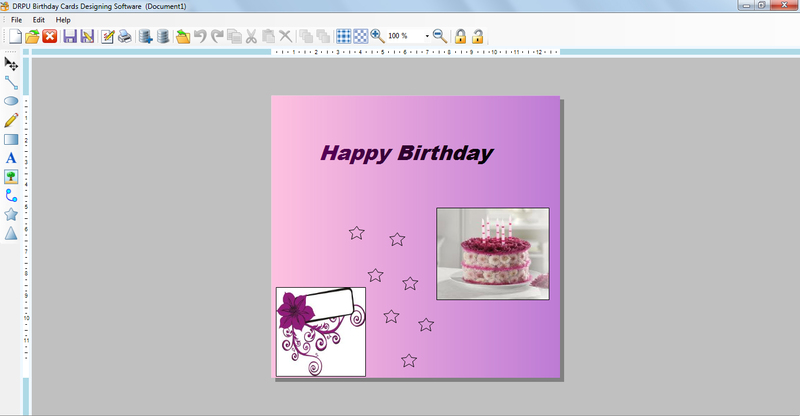 Demo of birthday cards designing software is available on company websites for users to test and evaluate capabilities before purchasing real program. Create an attractive, personalized newspaper about your birthday events. Qweas is providing links to Birthday Cards Maker Software 7.3.0.1 as a courtesy, and makes no representations regarding Birthday Cards Maker Software or any other applications or any information related thereto. Any questions, complaints or claims regarding this application Birthday Cards Maker Software 7.3.0.1 must be directed to the appropriate software vendor. You may click the publisher link of Birthday Cards Maker Software on the top of this page to get more details about the vendor.